Congratulations to the Interactive Media and Music Technology Classes! 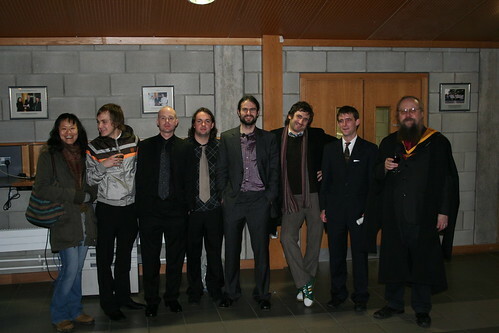 At the Winter Conferrings held on January 22nd, we celebrated the Interactive Media and Music Technology Classes of 2007/2008! 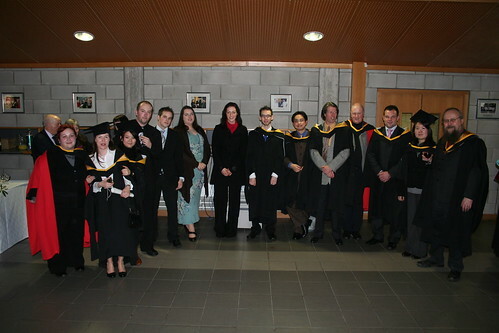 Former IDC researcher Darragh Murphy also graduated in absentia with an MSc by research. "Settings for Collaboration: The Role of Place"
Luigina Ciolfi and Liam Bannon are co-editors, together with Geraldine Fitzpatrick (University of Sussex, UK) of a special issue of the Computer-Supported Cooperative Work Journal on "Settings for Collaboration: the Role of Place". The special issue features papers discussing the role and importance of the notion of place for understanding collaborative settings mediated by technology. All papers are now available on the Journal's on-line first edition. The printed issue will appear in March.